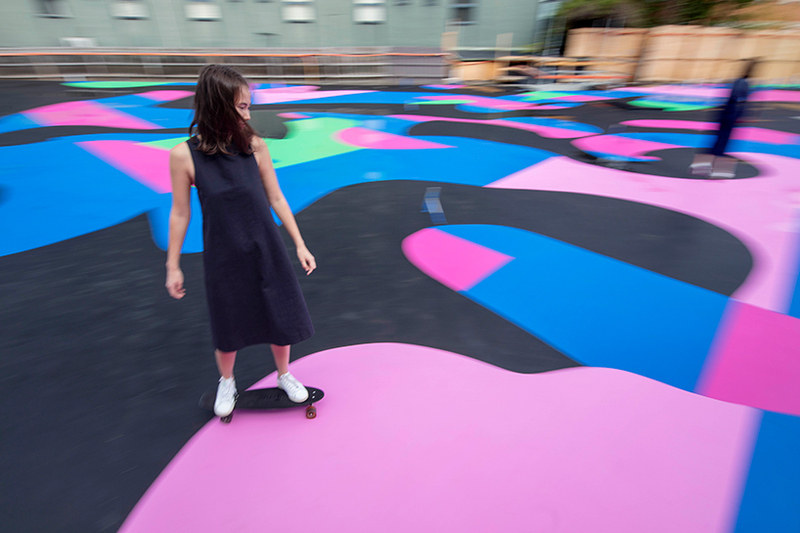 The newest skating grounds is in Melbourne. 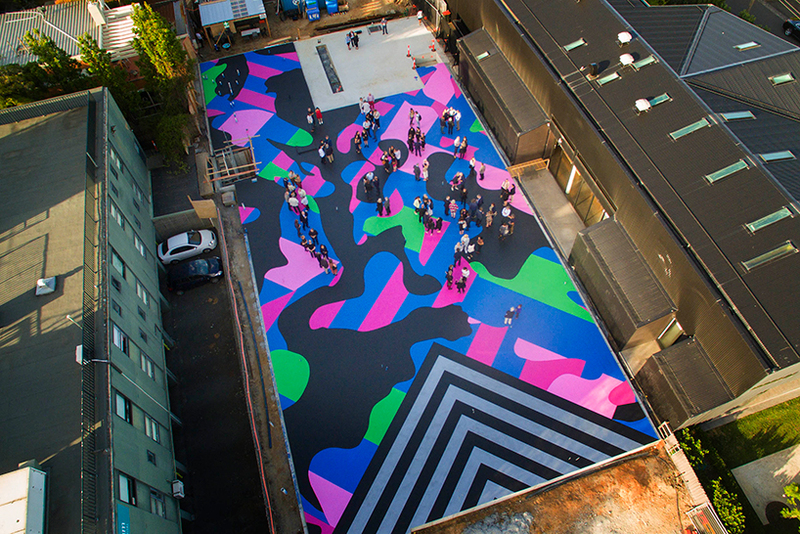 The floor, a 700 square meters retangular surface, is covered- in all conner- with colourful murals. 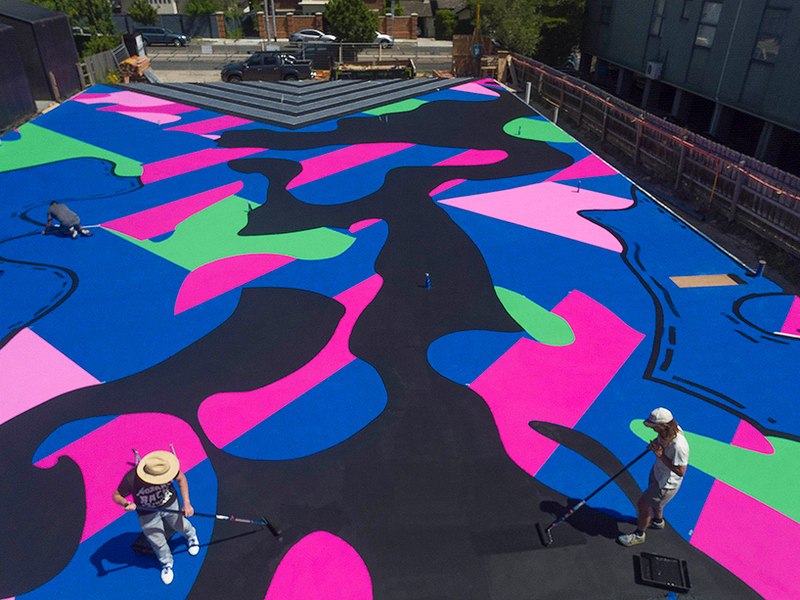 Patches of greens, pinks and blues, and black; been the predominate colours stands out from the ” randoming ” patterns created by Reko Rennie. 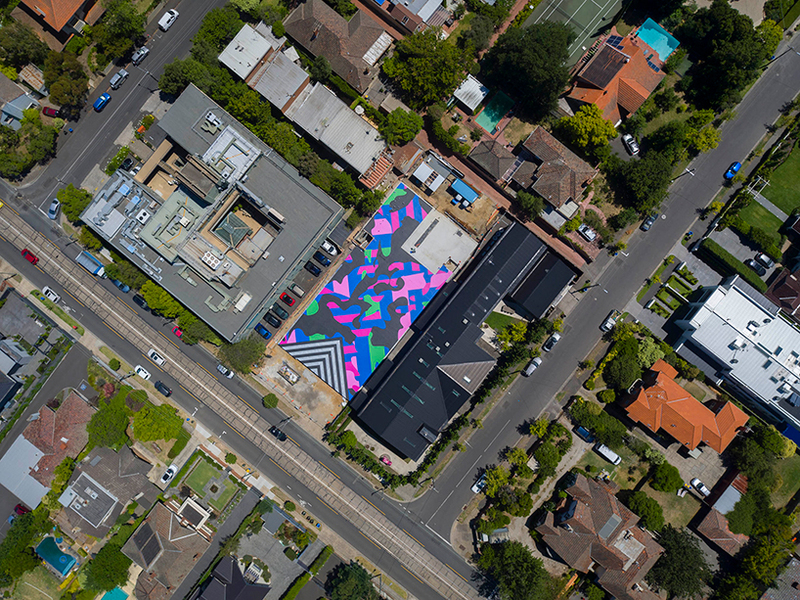 This commission launches Corbett and Yueji Lyon’s new House museum in Kew, Melbourne, which will be completed in mid 2018. 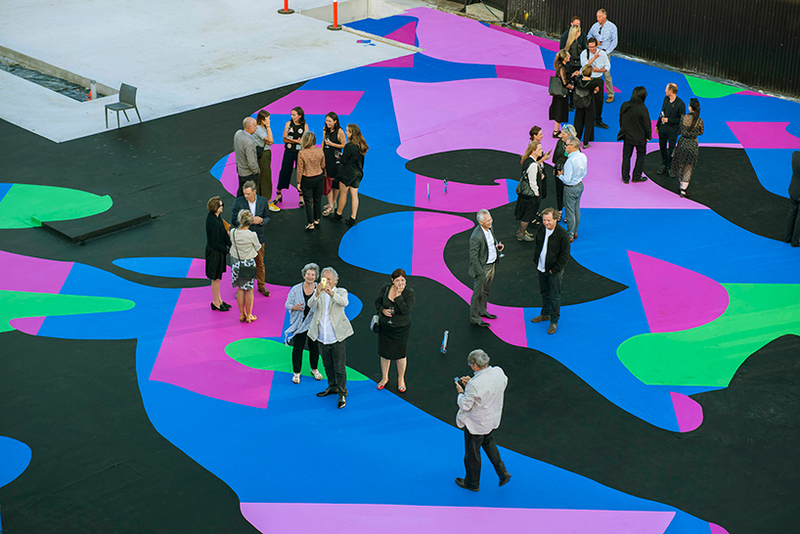 The large mural, which is a first of a kind in the Melbourne metropolitan area, was undertaken on the concrete slab of the new museum. 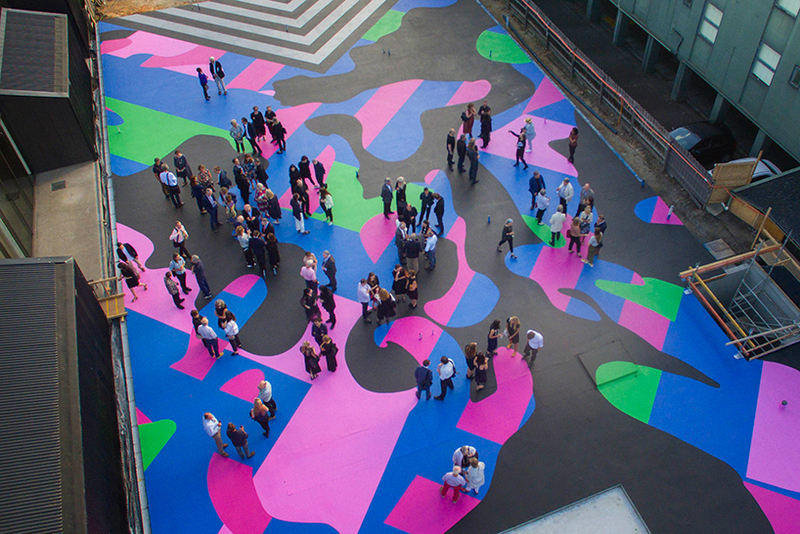 The project, ‘visible invisible’ was undertaken on the concrete slab meant for the foundations of the new lyon housemuseum . 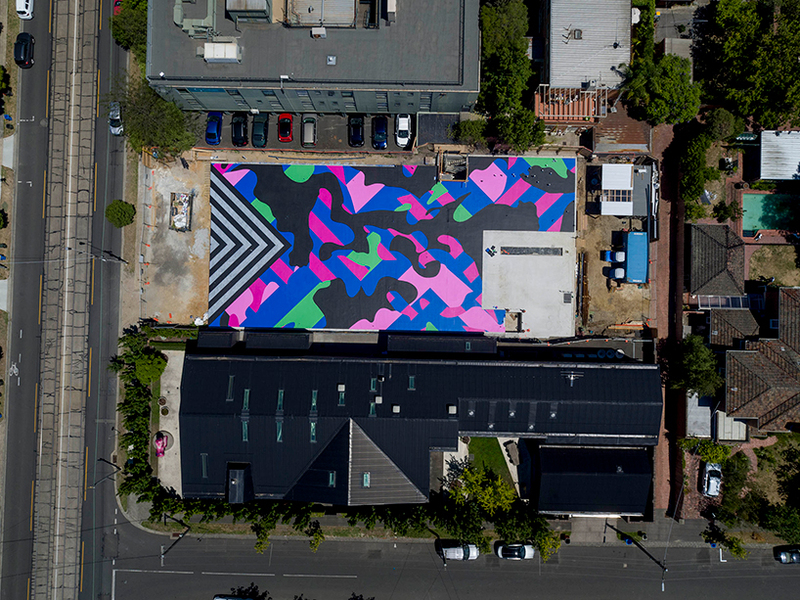 Supported by dulux which offered 30 scores of its ‘weathershield’ paints, and marking this Reko ‘s largest single painting to date, the visible invisible seeks to draw from the artist’s aboriginal origins, mincing patterns , and body arts associated with his culture. 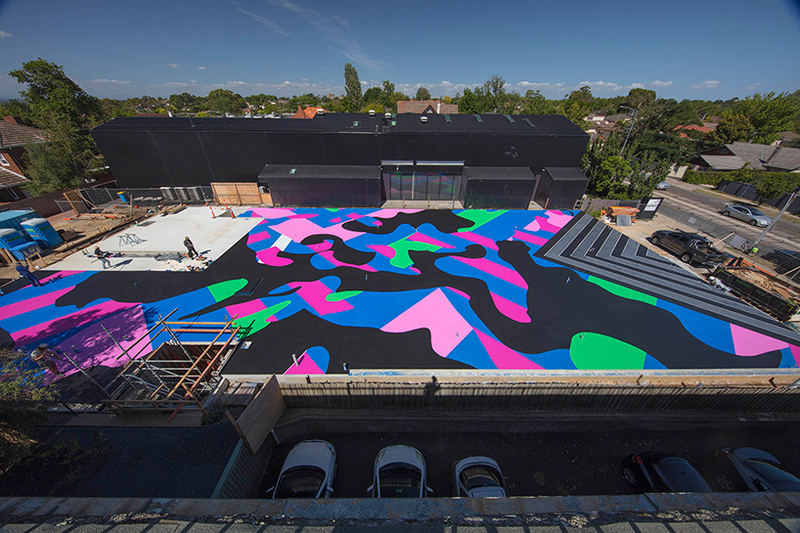 ‘this is indeed the most ambitious and challenging work I have ever created in terms of the scale and time frame,’ he said.,‘this work turns the tradition role of camouflage on its head, using it to amplify, rather than conceal my identity, and to stake my claim to a luminous, commanding form of cultural visibility.’was undertaken on the concrete slab of the new museum. 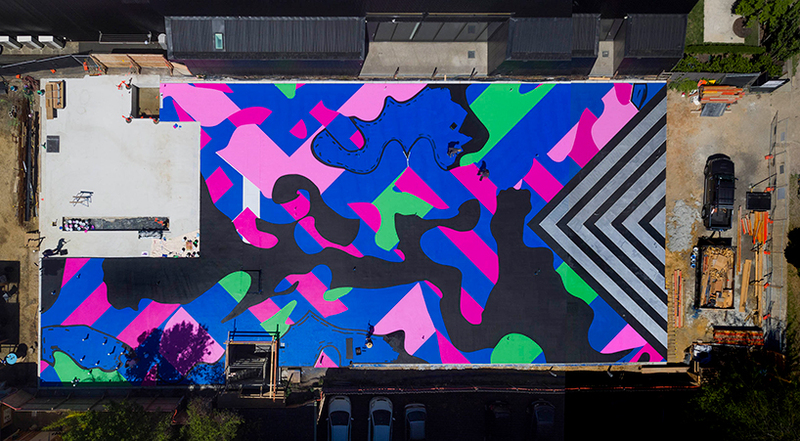 The mural would be built on, but a section would set be left uncovered for future reference.